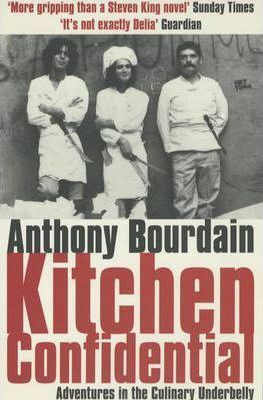 This is the cover of the British publication of the book that gave us Anthony Bourdain. When I read it in 2000 or soon after I thought, this is how to write. I don't have any TV shows I regularly watch. But I always checked to see where he might be going in his show on CNN. The last two I watched he took us to Newfoundland and Hong Kong. This week I was looking forward to following him around Berlin. 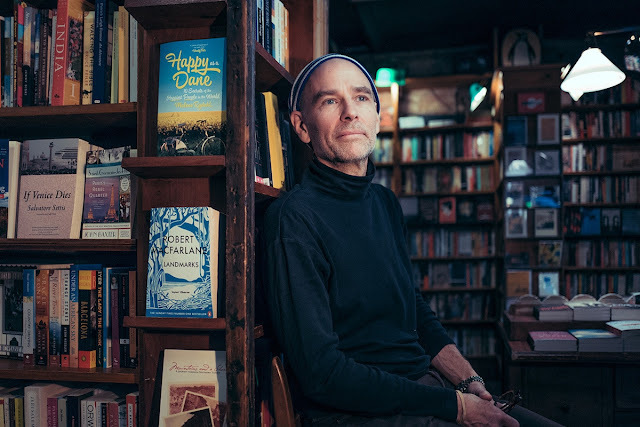 A French photographer, Franck Bohbot, who lives in New York, took photos of New York booksellers. It’s going to be a book. This photo is of Toby Cox, who owns and manages Three Lives, the bookstore I go to. It’s the best store of any kind I’ve been in. It’s on West 10th Street in the West Village. I won’t do this but I‘ve thought about it. Put a sign around my neck tomorrow that says today’s my birthday I’m 71. Just so that one woman sees it who walks by the sign and me in her no-nonsense sneakers and scowls at me and says, Why don’t you get a job. If you taught every school kid to read well, the Mayor’s efforts to change the way the city’s highly-competitive elite public high schools are populated might not have to be made. He wants more black and Hispanic kids to be in these schools. Now they’re only 10% of the mix. Only some odd, cynical people wouldn’t want it to be higher than 10%. The way you get in these schools is to do well on a test, just one test. Asian kids do the best. The Mayor suggests changing that. Setting aside more spots at the schools for black and Hispanic kids who do well, as in just under the grade that got the other kids in, is one idea. Another idea is to do away with the crucial test and admit the top 7% of students from each of the city’s eighth grades. That would change the mix at the eight elite (or ‘specialized’ as they’re officially called) schools in a big way. Under that plan, 45% of the elite schools would be black and Hispanic. The plans will be discussed. Heated discussions. Alumni, parents of kids who are in the schools, parents of kids who aren’t, Asian parents who think their kids would be getting screwed. After a life of reading about such school-and-kids issues, it came to me that if every kid knew how to read well, most of those issues would take care of themselves. 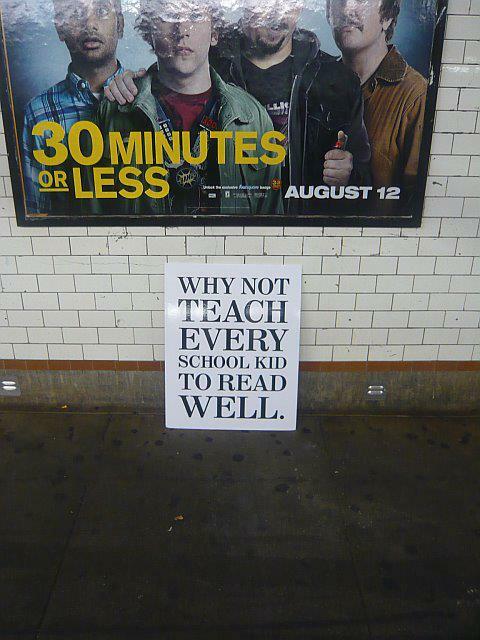 Because the efforts to teach every kid to read well haven’t been made sufficiently, desperate plans like the Mayor’s are floated. One middle-age woman who’s passed me from time to time on the sidewalk where I stand with the sign was proud to stop and tell me the other day that she’d recently graduated from college. Her smile was wide about it. She went to school at night. It took a while. She was determined to get a degree. She wants to work with children. She’s African American. She said it was her ability to read well that allowed her to go to college and get the degree she had wanted for a long time. She said she could change her life now.